Before the rise of Internet marketing, the term “marketing” often meant that you and your organization would pay for expensive print, radio, or television ads, hoping that potential customers would somehow find your ad and feel compelled to act. 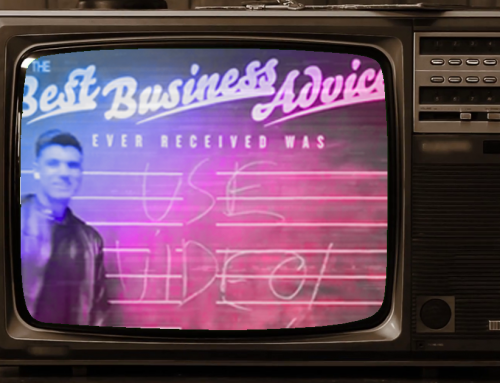 Video marketing changed everything. But let’s face the facts. It often resulted in a lot of hoping and praying. Everyone from scrappy entrepreneurs to more-established corporations relied on intuition and simple guesswork. The world has certainly changed. The Internet has enabled a latticework of marketing tactics and strategies, from pay-per-click ads to influencer marketing. That said, the rise of video marketing is one of the most exciting developments in Internet marketing. Video continues to gobble up Internet traffic, with Cisco estimating that video traffic will be a whopping 82 percent of all Internet traffic by 2021. The rise of video traffic on the Internet isn’t simply focused on cat videos, however. Companies and brands are achieving astounding results with video marketing. Aberdeen Group released a study showing that video marketers obtain 66 percent more qualified leads per year, along with a 54 percent increase in brand awareness. Video marketing is incredibly exciting, yet it can be difficult to know how to produce marketing videos that get the most bang for your buck. 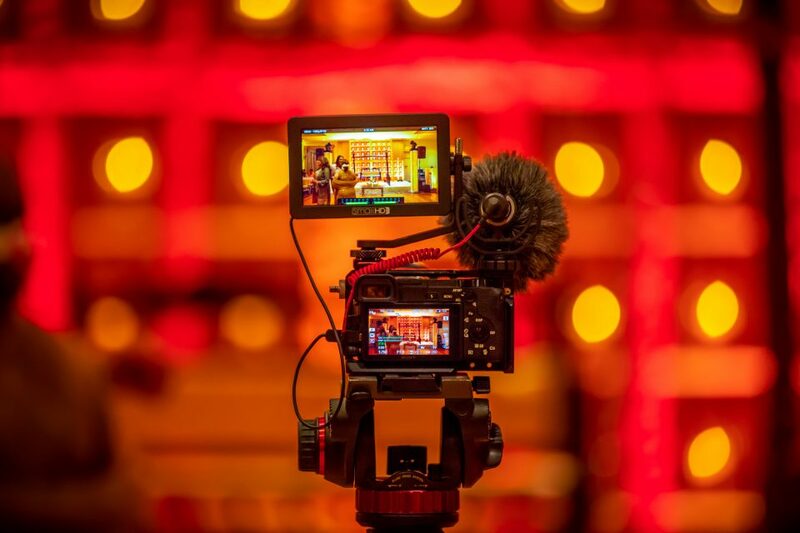 We have compiled a step-by-step guide that can guide you on creating stellar marketing videos, whether you a scrappy startup or a more-established business. By following the steps below, you can dramatically increase the odds that your marketing videos gain significant traction and result in an influx of warm leads. The first step in creating an outstanding video marketing is having a deep understanding of your audience. This step is first because it is extremely critical: without understanding who your audience is, you won’t be able to create a video that has the most impact—let alone any impact at all. Without this step, you are simply wasting your time. What does your audience really care about? What do they do on a day-to-day basis? Asking yourself these questions at this stage will arm you with the insights you need to create a stellar marketing video. From gathering a deep understanding of your audience’s’ demographics, you next want to find the struggles of your target audience. This is similar to the first step, but here, we’re placing an intense focus on problems. By empathizing with your audience’s problem, you can focus on fundamental aspects of your product or service that address that problem. The best way to discover your audience’s problem is to step into their shoes. Relate to the struggles they face, either by creating audience personas or something similar. Embrace empathy here. Even if your biases do leak into the persona, completing this exercise in the first place can offer unique insights into the mind of your audience. The third step in creating a stellar marketing video is determining how you provide value to the audience. This step links your business with the first two steps. Along with how your product or service solves your audience’s problem, you must think about your own goals as well. What are you trying to accomplish with your video marketing campaign? Reverse engineer that end objective so that you can find a pathway to using your video marketing strategy to accomplish your own particular goals. Am I creating this ad to acquire prospects and place them in our marketing funnel? Is it to nurture and appeal to already-existing customers? Embracing honesty at this stage will allow you to create a marketing video that is more targeted for your audience and your own objectives. After you figure out how to provide value to your audience, you next want to enter into an actual brainstorming session. There should be no judgment; rather, embrace quantity over quality and write down all of your ideas. Be as real as you can and be open to any ideas—no matter how “ridiculous” they sound. Once you have written your ideas down, let them ruminate. After letting some time pass, go through your list again with your team, and edit your ideas down until you find one that makes the most logical (and emotional) sense. From brainstorming, you can proceed to recording tests. The idea here is almost equivalent to a minimum viable product in that you are trying to efficiently determine whether your marketing video reaches the core of your audience’s problem (and the core of your solution). The great thing about video marketing is that it is highly iterative. This means that after you release these low-fi videos in the marketplace, you can gather audience comments and feedback, which you can then quickly incorporate into an updated version of your video. Next, you will need to actually hit record. Yes, this can be an intimidating part of the process, but it is often the most exciting. Expensive equipment—while nice to have—isn’t required. Your phone is often enough to produce a stunning marketing video. As you keep creating content, you will avoid making the same mistakes, and your production value will get better and better. When recording, it helps to focus on the fundamentals and your story. Beyond that, though, there are no real rules here. 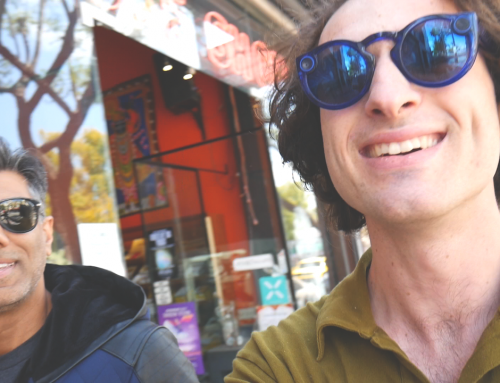 You can write out a script and deliver it word-by-word or improvise your video in one take. Whatever it is, embrace storytelling. Humans naturally pay more attention to narratives and emotions than facts and figures, so take this into account when creating your video. Finally, one helpful tip here: it helps to insert your organization’s logo in the first few seconds of your video. Our attention spans are challenged these days and some viewers won’t make it through the entirety of your video. Because of this, placing your logo at the beginning of your video will increase the odds that most (if not all) viewers remember at least something about your video. Once you are done recording your video, you need to determine your placements. In other words, you need to figure out where to distribute your content. This is a big deal. Not every video is perfect for every platform. For instance, there are different platforms embrace different aspect ratios. 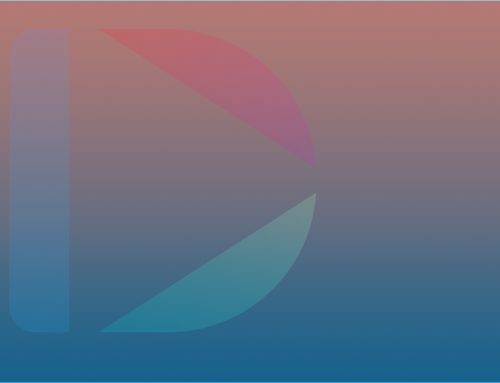 While a 16×9 aspect ratio is standard for platforms like YouTube, mobile-first social networks (like Instagram and Twitter) rely on vertical and square videos. This is where Dubb comes in handy. 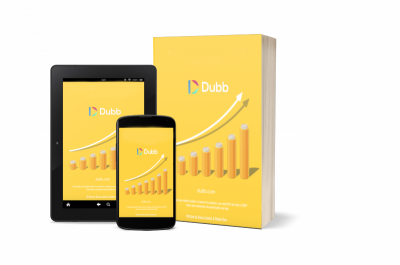 With Dubb, you have more control over the landing page that displays your video. Along with this, you can customize your page as necessary, incorporating features like calls-to-action and exit-intent popups. After determining your placements, you will need to get the word out. This can be one of the most difficult tasks because of the sheer amount of content on the Internet. Ignoring this step, however, will throw away all of your hard work to this point. You simply need to put in the work and start conversations about your content. For example, leverage “@” replies to mention people or companies that you discuss in your video. Share your video across your personal and corporate accounts. Also, leverage a company email list to directly notify prior or prospective customers about your new video. There are no simple “growth hacks” to this step, so your creativity is at a premium here. However you do it, ensure that you and your team are putting in the work to raise awareness about your new video. If you have a budget, don’t be afraid to put advertising dollars behind your videos. It’s a great time to be advertising using video. CPM (cost per thousand impressions) rates are still reasonable on most channels including YouTube, LinkedIn, Facebook, Twitter, and Instagram. We recommend figuring out which videos convert and making sure your funnel is set up to get the conversion rates you’re looking for. Just don’t forget to A/B test everything to maximize your ROI. The second to last step? Getting data. After you launch your video and get the word out, wait for a few days. From there, you will want to look at the cold, hard numbers. Figures like views, watch time length, reshares, and email opens can be extremely insightful. You should analyze that data and incorporate it into new, updated strategies on developing future videos. Lastly, you will need to repeat the process. Effective video marketing is an ongoing process. Once you have gathered data from your current campaign, you should proceed to step one and begin the process again. In today’s day and age, more content is always better. By continuing to release content in the world, you not only raise awareness about your brand, but you quickly discover what works and what doesn’t work. Along with repeating the process, we encourage you to be cautious about strictly following data. Yes, data is an extremely important asset and a critical part of this process. But it shouldn’t be treated as dogma. Your gut is an important component of this process. Sometimes it is best to simply do what feels right. Video marketing is an increasingly important component of your overall marketing strategy. The days of simply placing a text-based ad on the Internet and hoping for the best are over. That said, this is exciting news. Video marketing can be an extremely powerful asset in your marketing portfolio. It allows you to show off your product in new and awesome ways. You can show off your passion for your organization and how your product or service can change customers’ lives. Or it can be a less serious look at your organization and the problem that you are solving. The choice is up to you. Regardless of how you proceed, we encourage you to follow the ten steps above to make captivating marketing videos. 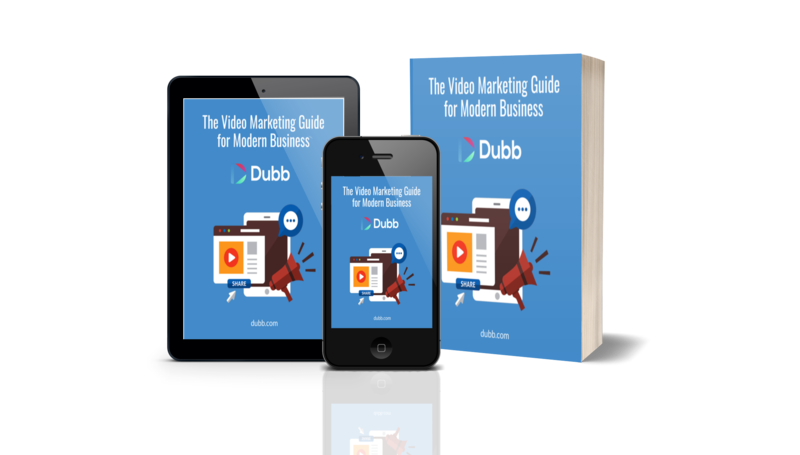 At Dubb we have produced 1000’s of videos and have made tons of mistakes. 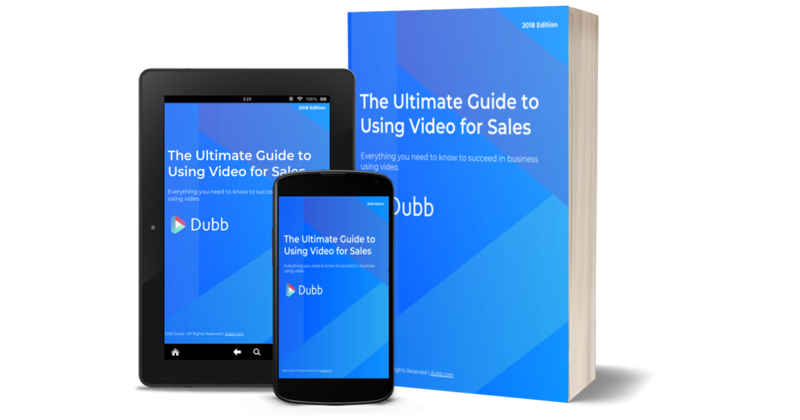 From our learnings, we have compiled a step-by-step guide for creating stellar marketing videos and an overall video marketing strategy. 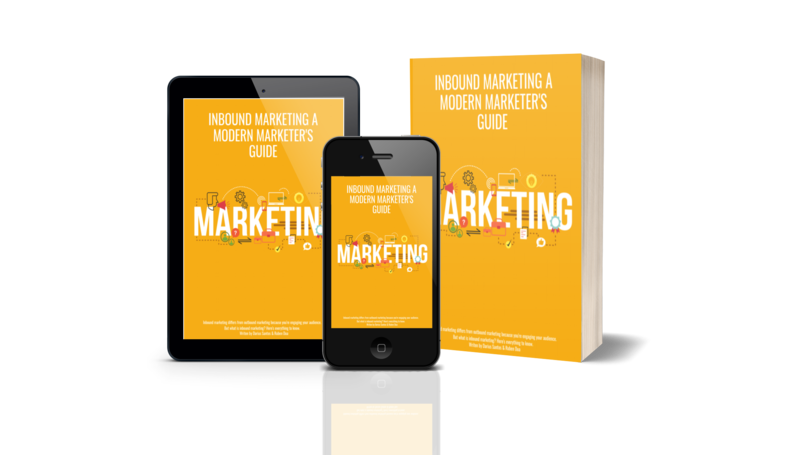 Whether you a scrappy startup or a more-established business, watch this 5-minute video guide and then read the free eBook so you can dramatically increase the ROI of your video marketing.